What is the Gap Semester at LBC? This is why we created the LBC Gap Semester. Why not take a semester to discover your gifting and passions and, at the same time, take steps forward with your education? LBC Gap is a new initiative like a gap year program that lasts for one semester (about four months.) While you’re here, we’ll help you ask some key questions about where you’re headed – like, what are my gifts? How do I develop my decision-making skills? How do I fit into the Great Commission? How can I grow spiritually? We know there are a lot of options for gap year programs out there, but here’s why we think ours might be the right fit for you. 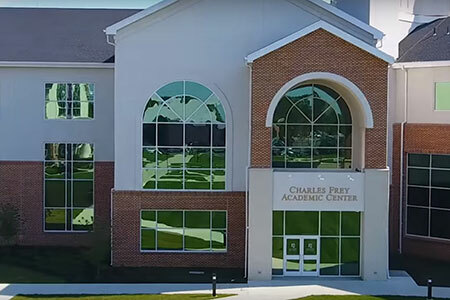 This innovative experience gives you a chance to test drive the college experience and see if it’s the right fit for you – which means you’ll be traveling, diving deep into God’s Word through Bible classes, exploring the talents and dreams that God’s given you, all while earning college credits. That way, if college is the right next step for you, you’ll be able to jump right into academic life without missing a beat. And if higher education isn’t right for you, you’ll leave our program feeling equipped for whatever comes next. Use one semester to discover how how you have been uniquely gifted by God. Live on Lancaster Bible College’s campus and get a feel for college life. Each semester ends with a two week service trip so you’ll get a chance to put your faith into action. This experience is specifically designed for 18-21 year olds seeking to discover the next step in their lives. Accepted Gap Semester students can choose to continue their education at LBC – getting accepted to the program means you’re accepted to LBC too! Locations: Lancaster & Travel in the U.S.
Why Take a Gap Semester at LBC? This is a unique time in your life. You have the time and flexibility to pause and ask yourself the hard questions about who you are, where you’re going and what God wants to do with your life – so take advantage of it! GROW: Strengthen your foundation of faith and shape a Christian worldview. LEARN: Take Bible classes to deepen your faith and earn 12 college credits. TRAIN: Develop your interpersonal skills, confidence and a strong sense of responsibility. DISCOVER: Understand more clearly one’s gifting and purpose in life. SAVE: By taking a gap semester at LBC, you’ll save money while still earning college credits. The gap semester only costs $9,000. Where Do LBC Gap Student Live, Study and Travel? LBC Gap students will live on site at Lancaster Bible College’s main campus. You can expect to be integrated in with other students at LBC, with the option to attend chapel, while also developing a close-knit community with your fellow LBC Gap students. Each semester only has 24 spots, so you’ll enjoy small class sizes and fellowship. Our LBC Gap Semester will be comprised of traditional, experiential and communal learning experiences. Each semester will vary slightly, but will include a number of trips and service projects including camps, backpacking and urban initiatives. Ready to have your life changed?